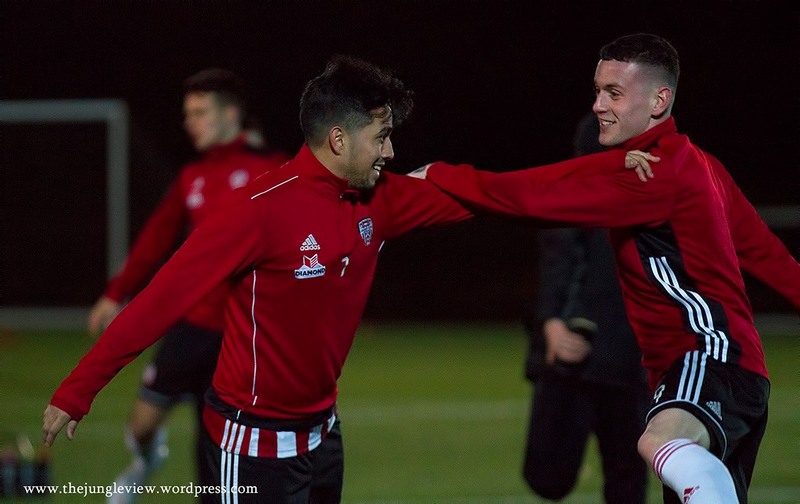 Derry City continued their pre-season preparation with a routine 7-0 win over Irish League side Ballinamallard last night. It had been a busy day on Foyleside with three new signings; Eoghan Stokes, Gerardo Bruna and Darren Cole all being unveiled at a midday press conference. The club also announced that Michael McCrudden will join the club on the expiration of his contract with Institute. City deployed a strong side with all of the new signings in the starting eleven and after being kept scoreless for the opening 15 minutes, City hit their stride and their pace and passing were a step above their opposition. Parkhouse grabbed a hat-trick in the opening period, with Ogedi-Uzokwe grabbing the other to make it 4-0 at the break. One drawback from the night was a bad injury to Ciaran Coll who had replaced Patrick McClean at the break, with the defender forced from the field and taken to hospital for a check. For those on the field, it was the same again in the second half with City getting another 3 goals to leave it 7 nil at the end of the game. Speaking after the game, manager Devine was understandably delighted and re-iterated that his focus was now firmly on the opening fixture of the 2019 SSE Airtricity Premier Division season, where City will face UCD next Friday at the Brandywell. ‘Past, Present and Future’ Event this Friday!